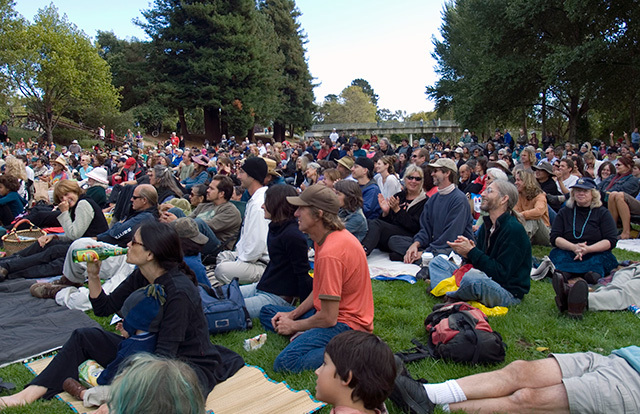 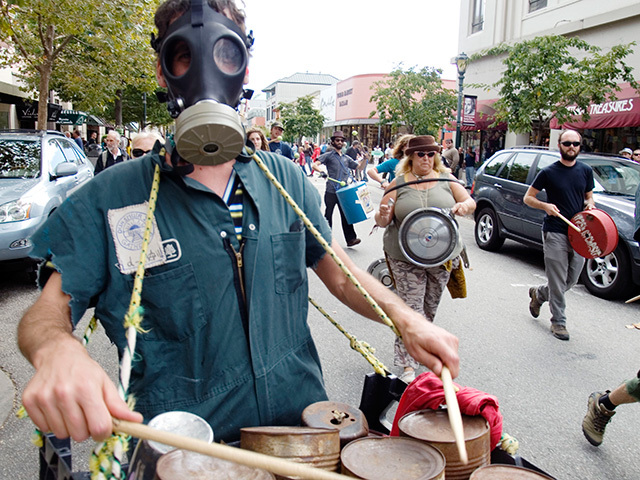 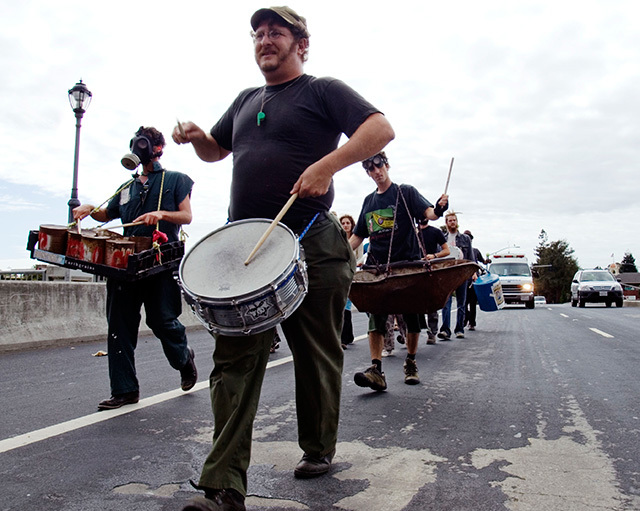 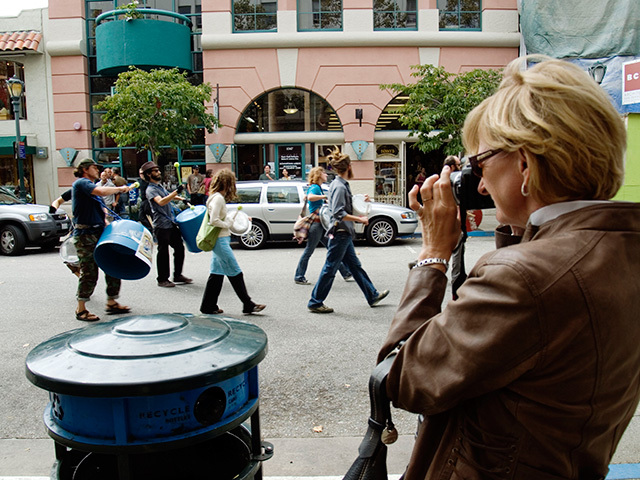 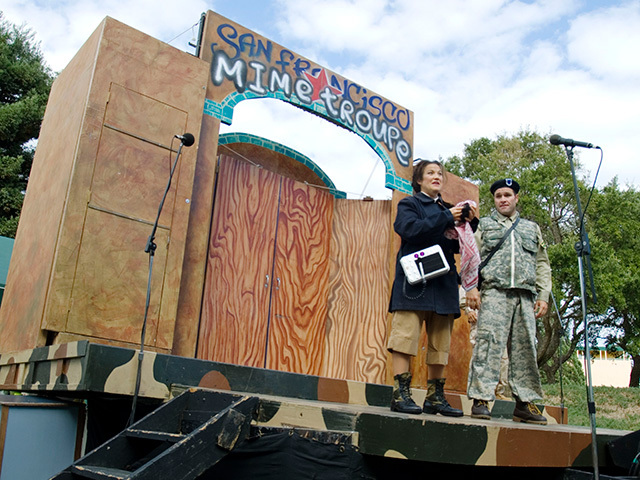 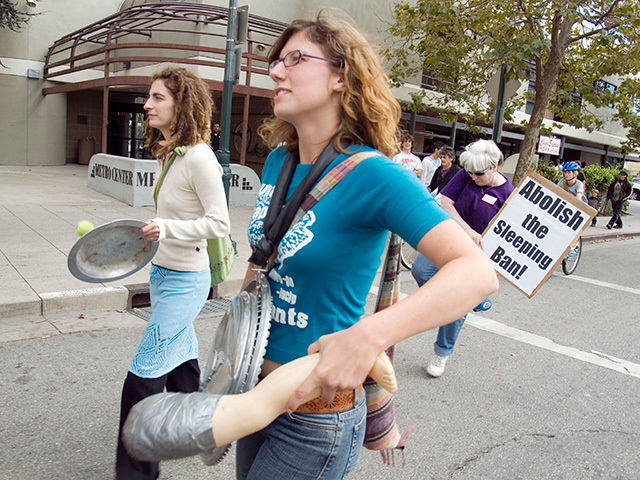 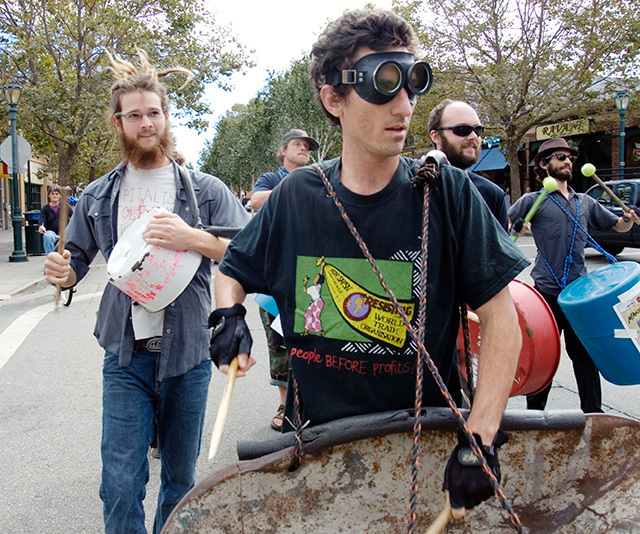 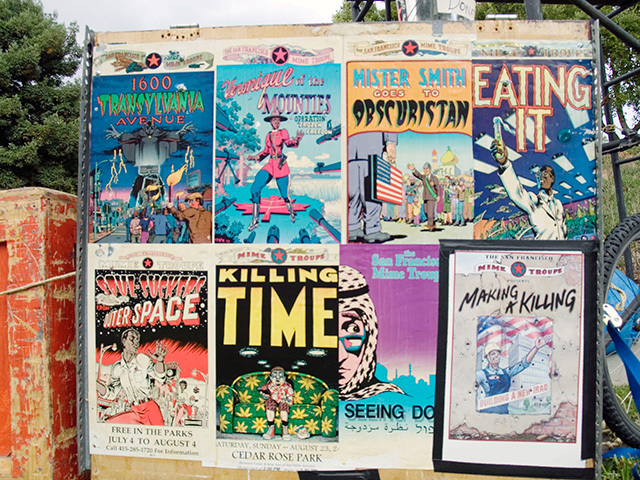 On September 23rd, the Santa Cruz Trash Orchestra led a noisy parade to the San Francisco Mime Troupe performance of Making a Killing, Building a New Iraq. 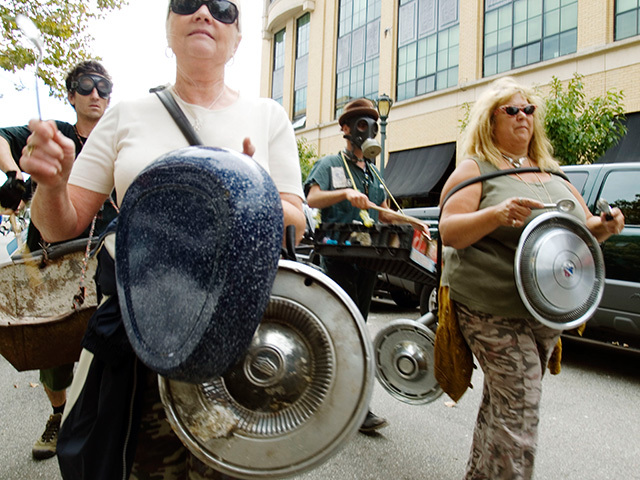 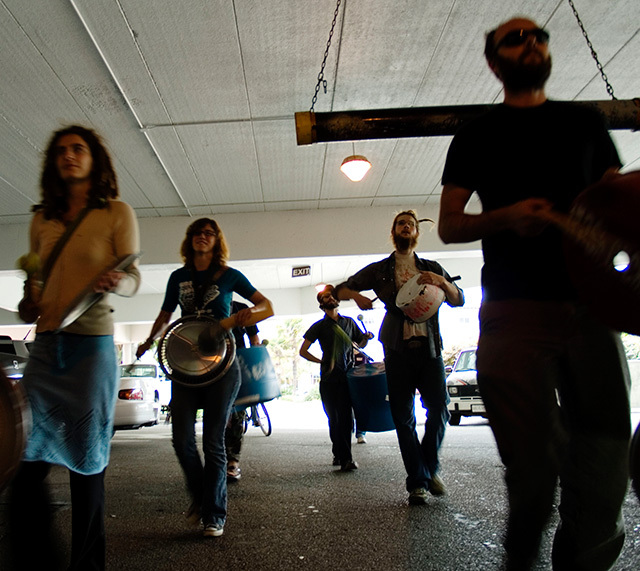 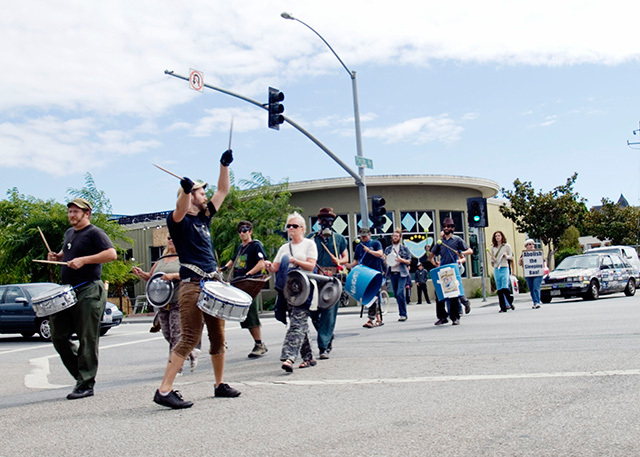 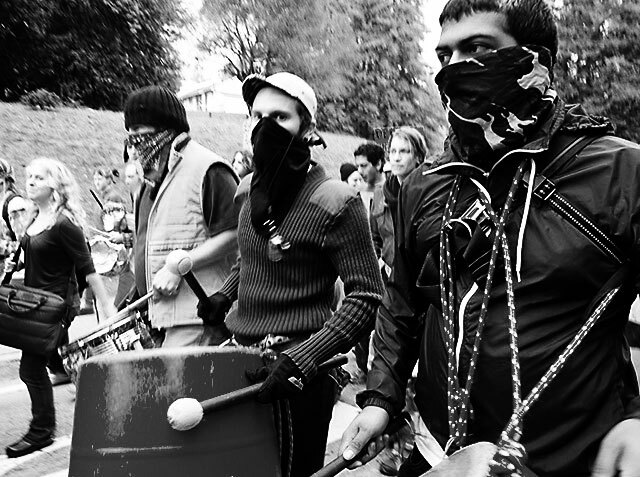 In the style of a cacerolazo, parade-goers beat on makeshift drums and tambourines while marching as a metallic cacophony from Laurel Street up Pacific Avenue and across the river to San Lorenzo Park. 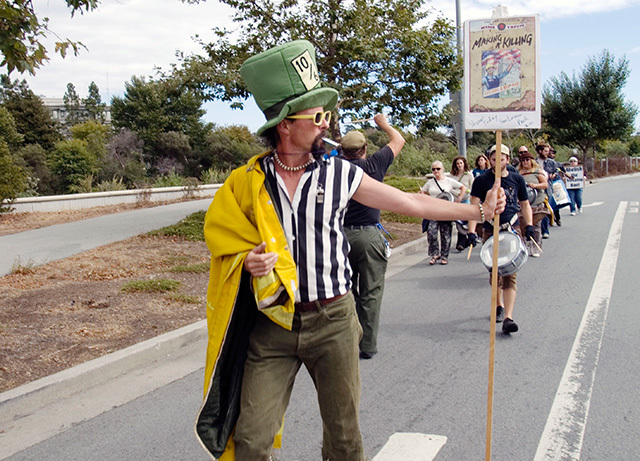 The parade lacked a clear message and was appreciated by many people walking and photographing on Pacific Avenue. 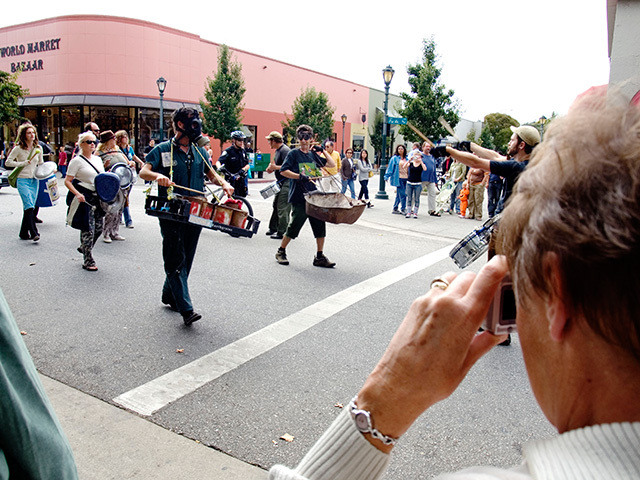 A focus of the Trash Orchestra parade was to attract people the SFMT's performance, while other folks joined the parade to outreach about Sleep Crimes in Santa Cruz.